Congratulations!! You’ve reached the finish line. I hope you enjoyed the journey and learned something along the way. I have enjoyed the conversations and connections I’ve made and look forward to even more. This isn’t the end. It’s the beginning of a new, improved way to work and learn. You’ve been introduced by some amazing people who can help you extend what you’ve learned here to advance your career. All the things we’ve discussed can help you turn a minimal investment into a meaningful return. But not if you don’t make the investment. So pick one thing you’d like to start with and carve out 10-15 minutes a day to do it. Leave a comment on a blog post. Share that interesting article you read on Twitter. Ask a question about something you’ve stuck on in a LinkedIn group. Or maybe you have time to spend an hour on the weekend reading your RSS feeds and saving the best to share with your team at work. Find what suits you best and get started. When you make what you’re doing visible, you open the door to many great new possibilities for yourself, while helping others at the same time. And you don’t have to do it alone. As you start connecting with others, you’ll build a personal network that will always be there for you. A great place to start is the Working Out Loud group on Facebook. Thank you for being part of Learn Camp! If you’re interested in running a program like this in your organization, let me know. I’d love to talk with you about it. Welcome to the penultimate week of #LearnCamp. We’ve covered a lot of ground and now we’re ready to cap things off by exploring how to tap into the power of “working out loud”. You’re probably wondering just what in the heck does that mean? No one can explain it better than John Stepper, who’s written a fantastic book about it called “Working Out Loud for a Better Career and Life“. Make your work visible in such a way that it might be helpful to others. Think of “work” in the broadest sense. It could be anything you’re learning or doing that has value to others. For example, anytime read something good onlinethat you think others could benefit from hit the like button, leave a comment, or even better yet – post it to Twitter. Add a quick comment about why you liked it. Email it to a friend or colleague. Here are a few good ideas for getting started. You might even be ‘working out loud’ already and not even know it! You’re already bookmarking things in your web browser, so why not move them off your hard drive and set them free? Free online tools like Diigo, Delicious or Pinterest get them off your hard drive and make them easier for you to use. Even if you keep them private, you still get the benefit of them being searchable and accessible from any of your computers or devices. Collecting as many of your information sources as possible through a feed reader such as Feedly or Flipboard, saves time and helps you keep up with a very busy world. I can’t emphasize enough how helpful this one is! Social media offers amazing potential for making valuable connections. Twitter is my favorite. Go find interesting people in your field and follow them. Check your feed read once or twice a day. (Having the mobile really helps.) Pretty quickly, you’ll “get it” and start finding more valuable people and insights to learn from. Since you’re probably already on Linkedin, that is one place you can easily start sharing what you’re learning and working on. Drop me a note, I’d love to hear from you. Start with one of these, then add another when you feel ready. If you do just these three things you’ll realize a huge benefit. For even more great ideas, grab a copy of the exercises from John Stepper’s book. John shares some simple nudges – things you can do in less than a minute or five minutes – to help you practice. And go get the book! I loved it so much that I asked our amazing library to get a copy for others to enjoy. Isn’t that what being in the Learning & Development field is all about? Or any other field for that matter? Not only do you help someone who needs it, you’ll also be helping yourself by being more productive, working better as a team, accelerating your career, and more. Follow John Stepper and Harold Jarche via Twitter and plug their blogs into your feed reader. They will help you succeed – I guarantee it! If you like cheatsheets here’s a nice one page summary of Austin Kleon’s book “Show Your Work! : 10 Ways to Share Your Creativity and Get Discovered” that you can print and hang on your wall for reference or inspiration. Set a goal to share one thing everyday on your platform of choice. NEWS FLASH! You have a online brand. Yes, you! And everyone who’s ever done anything online. Do you know what your online brand looks like? Are you taking control of it or leaving it to chance? These days your online presence is your resume. [ See Why Traditional Resumes Are Dead: The Rise Of Resume 2.0 ] While you may still submit a traditional resume and cover letter for job openings, the things that really matter are what the recruiter and hiring manager find when they type your name into a Google search. Taking care of your personal online brand isn’t just for job seekers. There are lots of other people besides recruiters who want to learn more about you. Think about recruits, new colleagues, potential partners, prospects, customers and more. What do all these people do before they meet with you? Look you up online. Have you thought about what those people are finding out about you? Heck, you do this before meeting others too don’t you? Just about everything you’ve done online has been captured and is being served up on Google on-demand. Go to Google right now and see what results you find about yourself. Go ahead, I’ll wait here until you get back. What did you find? Did you like what you found? Or did you find anything at all? A surprising number of people haven’t given their online presence any thought. Don’t be one of them! The question is how do I manage, curate, and build a reputation? Here are several effective ways to build your online presence. If you do nothing else, take some time to upgrade your LinkedIn profile. And then start using it regularly! (You can find me here if you’d like to connect.) For many professionals, one of the top search results is LinkedIn. Many people think of LinkedIn as nothing more than just a resume site. But boy are they missing the boat! Not only should you have a LinkedIn profile, but you should stay active there as well. Here are just a few of the reasons to give some thought to how you’re using LinkedIn. Hubspot’s “The Ultimate List of LinkedIn Tips” is a great resource to help you tap into the power of LinkedIn. If you want to do more consider creating a site showcasing your work. This presentation introduces you to 20 free and easy ways to set up your own personal site for this. Although, this deck is meant for elearning pros, the concepts apply to everyone. Start a blog. A professional looking WordPress site can be set up in minutes for free. Mine is here if you’d like to see one example. Join Twitter and Facebook. Connect with the leaders in your field. Engage with them. Learn from them. Buy your own domain name (your own name, perhaps) and put something up. Something, anything. Commit to the process and the challenge of growing your online presence. It’s worth it! Craft an effective LinkedIn profile and use it. Please share if there any single place online you can send people for them to learn more about you? Where is that? If your opportunity of your dreams came to you this afternoon, what could you share online that would convince the decision makers that you’re the right person for it? Or what if you lose you job tomorrow? What do you have in place to show your next employer or client? If you don’t have anything, think about what you’ll no longer have access to from your current employer and how long you’re prepared to spend assembling a suitable online presence. Share your thoughts about the current state of your online presence. Fall is football season and just like a quarterback sometimes need to change the play at the last second, we’re calling an audible. We originally planned to talk about your online presence this week, but we’re going to give you a catch-up week instead. So enjoy a breather this week and the opportunity to review anything we’ve covered so far. Or if you’re one of the folks who joined mid-stream, now’s the time to hit anything you might have missed. Now that we’ve got two months under out belts its time for you to let us know what you’ve taken away from #LearnCamp. Is there anything you’ve added to your repertoire that you didn’t have before? Are you still looking for something to fill a need? Leave a comment to share your thoughts and contribute to the conversation. Activity 2 – Where can we find you online? In preparation for next week, do a search for your name. (Sign out of Goole or use an Incognito browser). What do those results tell you? Did you find a representation of yourself that you liked? What would a recruiter who is considering you for your dream job think? Could you even find yourself at all? Tell us about what you found. Where there any surprises? Curation is an increasingly important skill. Being digitally literate requires you to curate things to address your own personal learning needs. As L&D people, we should be leading the way. But it’s not only for ourselves, it is also for our organizations. Curation is a good way to extract value from the flood of information we face every day. If you think about it, isn’t instructional design and creating training programs a form of curating? Taking all the information you can find on a topic, analyzing it, paring it down, organizing and presenting it in a logical, easy to consume format. Sounds like curating to me! Courses are a common form of curation, but definitely not the only form. Click to Tweet: Instructional design is a form of content curation. Watch Harold Rheingold’s interview with Robin Good to learn more about curation. Let’s take a look at a few examples of what this looks like in practice. JD Dillon (@jd_dillon) “flips” useful articles into a curated Flipboard magazine. Curated by the ultimate “interestingness hunter-gatherer” Maria Popova, Brain Pickings offers the week’s most unmissable articles across art, science, design, history, and the usual miscellanea, alongside short highlights from other notable reads. Robin Good curates a massive amount of media, software and other valuable content. 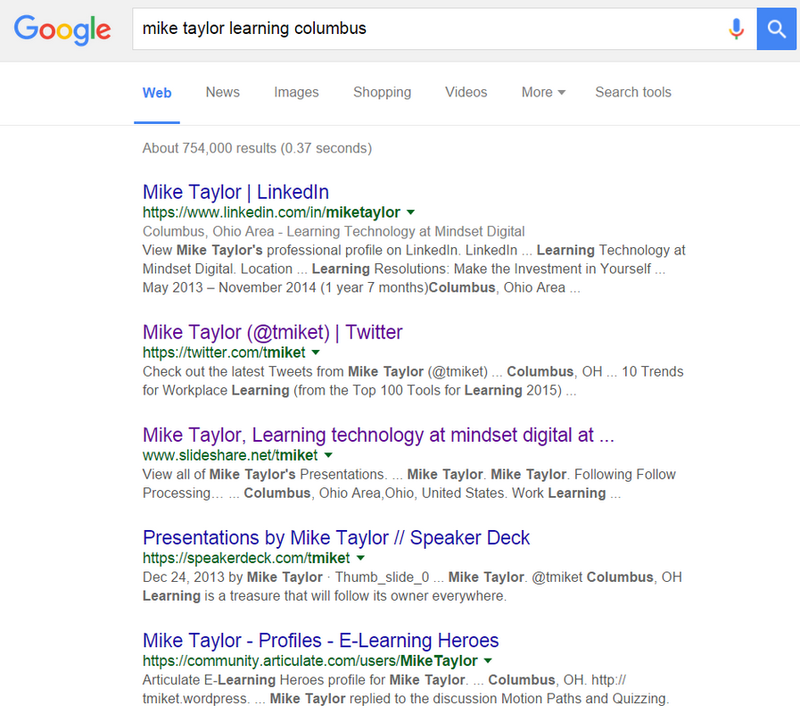 Check out this example he curated on the topic of curation. Some of the tools we’ve explored in this program can be used for curation. For example, this collection of Articulate Storyline tutorials on Diigo and #PowerPoint related pins on Pinterest. In his article, David shares this simple three-step curation process, adapted from Harold Jarche’s personal knowledge management (PKM) framework. Seek – Find information that is of value to workers. Sense – Make sense of the identified content and add value that shows how it applies to the work and work environment. Share – Once content is identified and the curator has added context, the content can then be shared. Now that we’ve introduced the concept of curation and seen some examples, let’s explore how you can make it happen. I really believe Harold Jarche’s Seek-Sense-Share framework for personal knowledge management (PKM) is a great model. It makes a lot of sense to organize your approach around the three steps in his PKM process. Now I’d like to share a few practical ways to use curation tools and techniques in the Seek-Sense-Share context. Seek: Seeking is finding things out and keeping up to date. These are tools that help you save time discovering relevant content efficiently. Feedly: We covered Feedly earlier in the program when we talked about RSS and feed readers. Feedly is the great way to organize, read and share the content of your favorite sites all in one place. You can save and share items to other social tools directly from within Feedly. Flipboard: Mainly used as an app for your tablet or smartphone, Flipboard is “a single place to discover, collect and share the news you care about. Add your favorite social networks, publications and blogs to stay connected to the topics and people closest to you” You can use it to easily aggregate content from a variety of sources and presents the content in a very nice magazine type format. And you can quickly and easily curate and share articles directly from within Flipboard with the click of a button. You can “flip” things into your own magazine or use the Flip It bookmarklet in your web browser. Check out JD Dillon’s ‘magazine’. This video shows how to use Flipboard to find, curate and share content. You’ll find a complete step by step guide to setting up Flipboard here. Twitter is also great for the curation process. Don’t forget to leverage lists and hashtags. Sense: Sensing is how we personalize information and use it. Evernote: Evernote is great for collecting and storing information using folder and tagging functions that can be used to organize content you find valuable. Diigo: Allows you to collect bookmarks, annotate web pages with highlighting and sticky notes that persist when you return to the site, and share bookmark collections with others, among other features. Blogging: (WordPress, Blogger) Blogs posts are a good way to curate because they allow detailed followed up and elaboration. Plus there are a lot of possibilities to customize and organize a lot of information in a blog including the ability to embed content from other sources into your blog posts, etc. Check out this post on blogging as a curation platform to learn more. SlideShare is a site where you can post your presentations online to share with others. They can also be easily embedded into blog posts. Storify enables you to curate your own stories from photos, video, tweets, what people post on social media sites and your own narration. Here’s a quick video on how to use Storify. Share: Sharing includes exchanging resources, ideas, and experiences with our networks as well as collaborating with our colleagues. These tools enable you to organize, annotate and display your content. Scoop.it! is a curation platform that enable users to collect news, articles, and other sources found on the Internet and share them on their own custom-themed Scoop.it! site. Scoop.it! is like a social bookmarking web site but with a visual, online magazine-like format. There are a bazillion tools you can use. ; and the tools you use, and how you curate, is very personal. Try a few out. Keep what works and don’t worry about whether or not you’re doing it “right”. There isn’t any one “right” way. If it works for you, it is all good! You already have a reputation online and you’re either managing it yourself or leaving it to chance. Curation is one good way to control! Leave a comment about which tools you selected. Bonus points for your thinking about why you picked what you did. Activity 2: Answer at least one of the following questions. Do you think curation should play a role in learning & development? How do you personally benefit from curation? Either your own or someone else’s. Will you explore any new tools from this list? Are you looking for any tools to fill a particular need? How can your organization benefit from curation? Examples of content curation tools. Last year, Mark Britz shared some great insights about how blogging can be an important part of your professional toolkit. Another of our previous webinar speakers, Allison Michels, landed her amazing job with Yammer after the founder and CEO read a post from her personal blog. You just never know what connections you’re enabling by blogging. Personal journal. Share your ideas or vent your frustrations, it’s your choice. Personal or Professional interest. Your blog can be a great place to collect and share knowledge on anything that interests you. Before you know it you’ll have a valuable repository of knowledge. Online resume. It is impossible to capture what you do on a one page printed resume. A blog is a much better way to capture all your professional thoughts and experience. Great for newsletters. Blogs are a great way to publish newsletters, for your department, club, hobby group or virtually any kind of organization. So what do you think? Think it’s worth kicking the tires? (It is!) Why not create a blog to capture your thoughts and share the thinks you do in the program? If nothing else it’s worth setting one up and just playing around with it to see how it works. You can be up in running today in less than 10 minutes for free with WordPress or Blogger. Activity 2: Answer the following questions. If you already have a blog, what prompted you to start it? How are you using it? What advice can you give others who are just getting started? If you don’t have one, what questions do you have? What’s stopping you from starting one? We’ve reached the halfway point for Learn Camp and we’re taking things offline. The ultimate benefit of all these social platforms is making personal connections and there’s nothing better for that than meeting in person. So we’re giving everyone the opportunity to connect face to face this coming Monday morning (9/21). There’s no better way to kick of your week than connecting with your peers and sharing ideas that will propel you and your organization forward. So come join us Monday Sept 21st, 7AM at the Panera on Lane Ave. (Google Map Directions) Bring your computer and/or mobile devices and we’ll help you get connected and answer any questions you might have. Heck, even if you don’t have any questions just stop by for a cup of coffee and say hi! Tagging is a flexible, informal way of categorizing that allows you to associate keywords with online content (webpages, pictures & posts). Even if you’re not sure what tagging is, you’ve already seen it in action on sites like Twitter, YouTube, Flickr, Diigo and many more. Tagging helps bring order to online content. 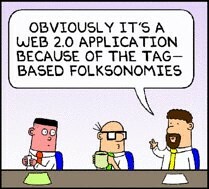 You can think of a tag as a topic. Adding a tag (or #hashtag) to your tweet, blog post, photo, video, etc makes it easier for people find and follow the content related to a certain topic. Have you ever been at home and wished you could remember one of the great links you bookmarked on your computer at work? Or waded through the hundreds or thousands of bookmarks in your browser and wished for a better way to organize them? If so you’ll definitely be interested in social bookmarking. Social bookmarking is a way to organize web-based information resources so you can access them from any computer and share them with others. Social bookmarking is different from bookmarking sites in your web browser because you can access the bookmarks from any computer, not just the one on which you created them, and because you can share them with other people as well as discover what others are bookmarking. Most social bookmarking sites allow users to organize their bookmarks by “tagging” them. The great advantage to this over saving bookmarks in your browser is that you can use as many tags as you want for each bookmark giving you multiple ways to find it later when you need it. You can find me and my bookmarks on Diigo here. You can plug any tag or person into your feed reader and automatically get new bookmarks posted for them. Pinterest is another site that allows you to collect and organize online resources visually. Check Jane Bozarth’s article about using Pinterest for L&D and check out Shannon Tipton’s great collection of creative learning ideas on Pinterest to see it in action. Follow what other smart people in our field like Jane Bozarth, David Anderson, Tracy Parish and others are bookmarking. Create groups for sharing relevant links & resources with students and colleagues. If you use Articulate elearning tools, this group is a great example of curating content for a particulate target audience. Do you already use any social bookmarking tools such as Diigo, delicious or Pinterest? What benefits could you see from having access to what others are bookmarking? How could this be used for learning/training? Be sure to take a peek at the comments at the bottom or each week’s post and add your 2 cents. Even if you’ve done the activities, the comments often add an ‘extra’ or different perspective. Sometimes the conversations are more valuable than the posts themselves. And to that point, I’ve created a Hootcourse for us to ask questions, share valuable discoveries and connect with your fellow #LearnCampers. Click over and add a question or comment now. Hope you’re enjoying a nice, relaxing long weekend! How can anyone find the valuable, relevant needles in this infinite haystack of information? The key is creating a personalized way for the content you want comes to you, so you can read important stories efficiently. This type of personalized reading helps you keep up with your world and get better at what you do. Right now you might be thinking, “Sounds great, but how to I create this magical, personalized system?” The answer is news feeds. Feeds are a way for websites to distribute their content without requiring people to actually come visit their website. Feeds permit subscription to regular updates, delivered automatically via a web portal, news reader, or in some cases good old email. This type of technology (RSS, Atom, XML) enables anyone to keep track of a large number of your favorite websites or blogs, without having to remember to check each site manually or clutter your email inbox. Subscribing to feeds lets you keep track of a large number of your favorite sites without having check each site manually. Fortunately, you can start building your own tailor-made reading list of the topics you’re most interested in less time than you spend in line at Starbucks. Not only will you be more efficient, you can also segregate your reading to times when you can browse and read at your leisure. For example, you might want to peek in on your professional interests during work hours, and save your personal interests to read at home in the evenings or over the weekend. Feedly – My personal choice and I prefer the iPad app to the web version. Flipboard – This app has a beautiful magazine-like display and has a feature to help you discover new sources based on the ones you already like. Here are a few good learning and development sources to get you started. PRO TIP: When you see an article you really like, go look for the authors website or Twitter account and subscribe to those. Think of the websites you frequent and plug a few of them into your reader. Try subscribing to at least 3 sites you already know and 3 new sites. To help each other, share a professional site you added and why you like it in the comments below.